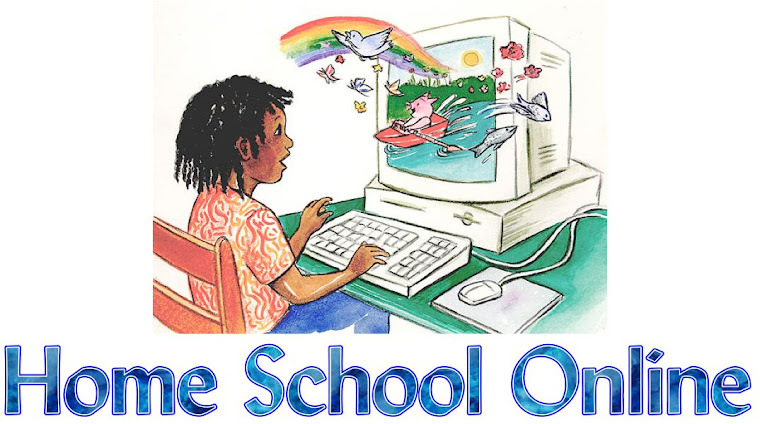 Home School Online: "Mom, I'm bored"! "Simplicity Equals Consistency. Consistency Equals Results!" "Mom, I'm bored", they tell you with a slight whine in their voice. ARGH! How many times have you heard that? Well, today I want to share with you a secret that I have found to be true..., (looking around to make sure they can't see what I'm typing) Boredom Is An AMAZING teaching tool! I have found boredom to offer my children the most incentive to explore, build, read, paint, talk or DO! Sometimes we're so busy cramming the next piece of information into their little brains that they don't have time to truly digest it. If there is one message I have learned over the years it's to "KEEP IT SIMPLE"! I have a friend who after reading, "The Well Trained Mind" went home and changed her entire life to revolve around school. They started at 8 a.m. and didn't finish until 5 p.m. (M-F) Her oldest daughter took both Latin AND French, in addition to all the other 7 subjects. It was so hard not to look surprised when six months down the road she shared how burned-out everyone was. Though I do not judge her for I know that I've had years where I have done the very same thing. It's our mama hearts that cause us to aim higher, go bigger, Do more, not realizing that higher, bigger, more.., just mean LESS. Less time to "think", less time to "be", less time to "ponder", less time to "process". The problem is that creativity and passion require thinking, being, pondering and processing. Some of our greatest memories have taken place in the last 2 1/2 years since we began using Time4Learning. Why? My children get a GREAT education while learning how to be in the drivers seat! I have someone else doing the lesson planning. Our focus then is all about character, family, extra curriculular activities, field trips, conversations. When I let go of being in control of everything, when I not only allowed downtime, but encouraged it, our lives changed forever. We net more results with less attitude! So the next time you hear, "Mom, I'm Bored" I encourage you to step back and let them figure it out! (smile) How about you? How many of you have seen your children come alive in the midst of downtime? Tell us your stories or idea's!